The Pocket Kings are a crack unit of elite musicians trained in the fine art of igniting guerrilla dance parties and whipping crowds into a groove-inspired frenzy. Their weapon of choice? The best R&B, Soul, and Funk music of the modern era. But wait, let’s get specific for a minute. We’re talking about the top-shelf stuff. Stevie Wonder, Michael Jackson, Prince, D’Angelo, Ike and Tina, and The Isley Brothers. Heck, we even throw in the Roots covering Mya covering Les McCann covering Roberta Flack. Deep, right? And there’s so much more. 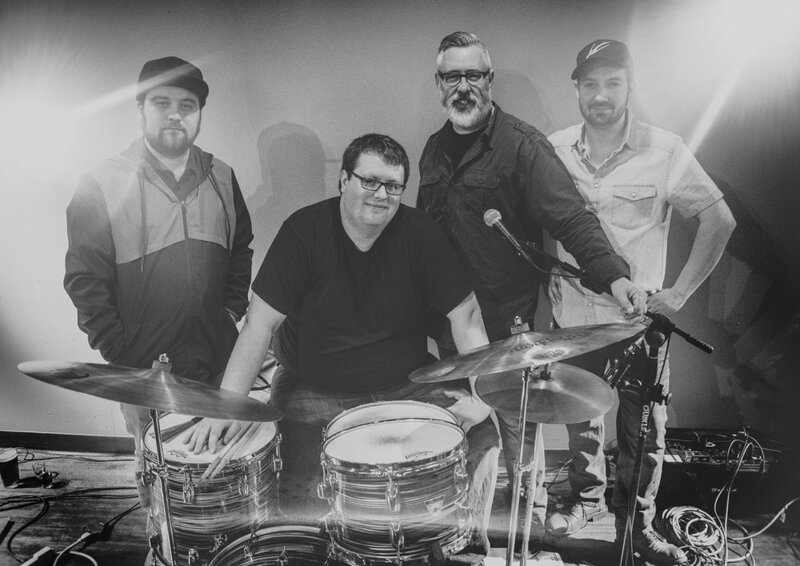 The point is, The Pocket Kings bring an incredibly tight musical performance full of interesting, funky, danceable songs that will keep any joint jumping all night. The music sounds great, and people can’t resist shakin’ something when they hear it. Preferably, what their mamas gave them. The band is made up of Greg McMonagle (vocals), Kelvin Kaspar (guitar), Mike Malone (drums) and Matt Vanderlinden (bass). Collectively, they’ve played all over the Fox Valley and beyond, including events like Waterfest and the Oshkosh Main Street Music Festival, and venues like Deja Vu Martini Lounge (Appleton), Peabody’s Ale House (Oshkosh), The Source Public House (Menasha) and The Varsity Club (Oshkosh). If you have a problem, if no one else can help, and if you can find them…maybe you can hire The Pocket Kings. IF YOU HAVE A PAIR OF BOOGIE SHOES OR SEQUINED PANTS, THEN WE WANT TO TALK TO YOU. SHOOT US A MESSAGE AND LET'S DANCE. Stay funky. Oh, and if you really feel like dancing, start here.